As we remember the terrible events of 9/11 and the deaths of approximately 3,000 citizens, we should not forget those who have subsequently served and are still serving our great country in Afghanistan and Iraq in the Global War on Terror. Now, friendly people can disagree on the wars and how they have been handled, but the reality is that, our military members had and have no say so in the matter; they serve at the whim of politicians and political decisions that are made on our behalf. That said, it is still important to understand the experiences of our beloved military. The latest statistics suggest that approximately 1 in 5 military personnel who have served in Iraq and Afghanistan have suffered traumatic brain injuries (TBI) and post traumatic stress disorder (PTSD). That’s 20%. I’m willing to bet the numbers are higher due to IEDs and the horrific realities of the warfare in which they have had to engage. The VA is doing what it can, but the VA is overwhelmed, as it is caring for several generations of veterans from WWII to current day. Plus, the VA has not had to deal with issues of TBI and PTSD in such large numbers really since the Vietnam War. As a result, these war veterans are coming home and having to handle normal life outside of combat, which is not proving to be so easy for some of them and they are unfortunately having run-ins with law enforcement officials. 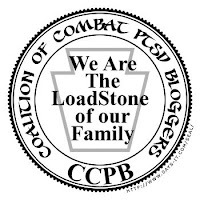 This is a perfect instance of where veterans courts can play (and are playing) a crucial role in the healing of the veterans of the GWOT. I am concerned that veterans courts will be relegated to the back burner in the face of returning veterans with TBIs and PTSD: they often turn to alcohol and drugs to handle their injuries, self-medicate, and to mourn the loss of the person they were before the injury. For the veterans who find themselves in trouble legally, veterans courts are so important. Veterans courts operate on the model of the drug and mental health courts that are already established in over 2600 locales. Veterans are given the chance to go through mental health counseling and/or drug and alcohol treatment. Once they complete their treatment successfully, they are often able to have their records expunged or not have to serve jail time and are able to move on with their lives and be successful. For many of them, it is a second chance at life, a good life. 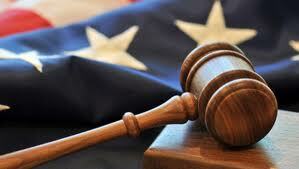 I recently read that funding for veterans courts is going to be cut in some locales, California most especially. I understand that local and state governments are hurting economically and fiscally along with the federal government. Local court systems have to make cuts. In reality, since there are so many mental health and drug courts already established, it would not be that much of a stretch for local and state governments to have veterans go through the same system that is already in place for mental health and drugs. I have also seen the argument that veterans courts establish a special class of citizens. Given that many locales already have drug and mental health courts, could not the same be said for non-veterans who get to go through those programs, that they are a special class? Veterans served this country and deserve all the help we can give them; taking care of veterans has a long history in our nation. Taking care of veterans is a constitutional duty that has a history going back to the Revolutionary War; Congress gave Revolutionary War veterans pensions and the Civil War saw the establishment of health care for veterans of the war. So there has been a long history in our country of the government taking care of veterans. The current war veterans should be treated no different. So, what can we do to help veterans who are currently in the criminal justice system? If you are a veteran, you can help by volunteering in the local court system to be a mentor for any veteran going through the criminal justice system or talking to local legal officials about the need for a veteran mentor system and/or veterans court system. We all can advocate the importance of veterans courts and encourage officials to keep them as a part of the judicial system. We also need to highlight the importance of the Veterans Justice Outreach office of the VA as well. I do not think these issues are going to go away anytime soon with the influx of current veterans who are dealing with TBI and PTSD. Veterans courts can help veterans avoid homelessness, potentially suicide, and possible death due to drugs or alcohol.